If you've followed my blog over the years you may remember that on two occasions I have tried to tempt my friends to come back to #TeamBlackBerry from another platform. The first test was from an iPhone 4s to a Bold 9900. That test failed and my friend switched back to her iPhone quite quickly. This result was expected as to be honest, once you have experienced a full screen phone with plenty of apps, it would be hard to go back to a BBOS device. The keyboard alone is not enough to make people stay. My second test was much more interesting. The same subject switched to a Z10 from her iPhone 4s. The result was amazing! Although it took some time to adjust, she learned to love the Z10 and chose to stay #TeamBlackBerry and actually purchased the Z10 from me. She is still on that same Z10 a year later. She did however take some ribbing from colleagues and friends who questioned her choice to return to a platform that was "dead" to most people. The attitude remained negative for a while, but she persevered and actually became quite a brand advocate, even convincing two co-workers to return to BlackBerry. Enter the third test: With the release of 10.2.1 and the unlocked Android runtime, the "app gap" has basically been closed. This allows for apps such as Vine, Instagram, Snapchat etc to be run on any BlackBerry 10 device. The teenage market was very strong for BlackBerry a few years ago when BBM was big with them. Most have since moved on to iPhone and Android. The BlackBerry is considered a relic to most North American teens. So my test is to swap out a 15 year old girls iPhone 5 with a Z10 running 10.2.1. Now this test is complicated by a number of things. 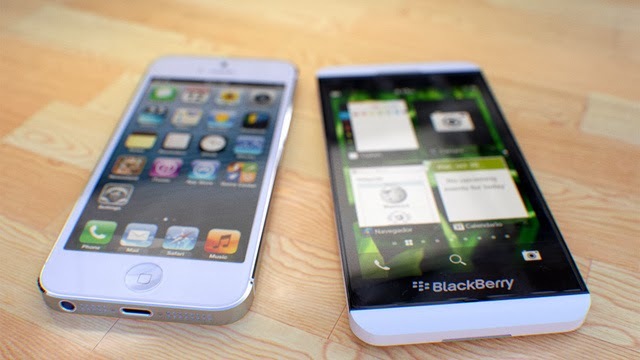 The first of which is iOS vs BlackBerry 10. The two OS' are quite different in how things are done. This will take time to adjust to, but is expected. The second reason is much more subtle. Teenagers in general can be quite mean. Peer pressure is always a factor in a teenagers life. Having friends make fun of you for getting a BlackBerry could have a very real effect on the outcome. If a grown, professional woman was mocked for switching back to BlackBerry, how would a teenage girl handle it? As a matter of fact, within minutes of activating BBM on the Z10, our young test subject received a BBM message (ironic no?) asking "WTF? I thought you hate BlackBerry, why are you switching..."
I have asked her to use the Z10 for a total of 4 weeks. Her sister uses a Z10 and several friends as well, so there is some support in place (other than me). I expect that she won't make it that long, but in the back of my mind there is one tiny little speck of hope that she will learn to love it as I have. If not love, than maybe some new found respect. Will she return to her iPhone with loving arms? Or find a soft spot in her heart for the Z10? Stay tuned in the beginning of March for the result!